Robert Conley begins his survey with Cherokee origin myths and legends. He then explores their relations with neighboring Indian groups and European missionaries and settlers. 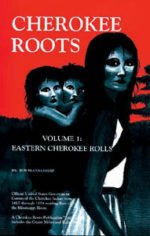 He traces their forced migrations west, relates their participation on both sides of the Civil War and the wars of the twentieth century, and concludes with an examination of Cherokee life today.